Tattoo Blog » The Tax Man Cometh? Tattoo Blog » Conventions » The Tax Man Cometh? This week I’ve talked a lot about tattoo artists not being given the proper recognition deserved, in terms of being viewed as artists. Well don’t worry, I’m not going to keep harping on about that here, I’m pretty sure you get the message anyway. But I did find something pretty interesting today when I was digging through the vaults. 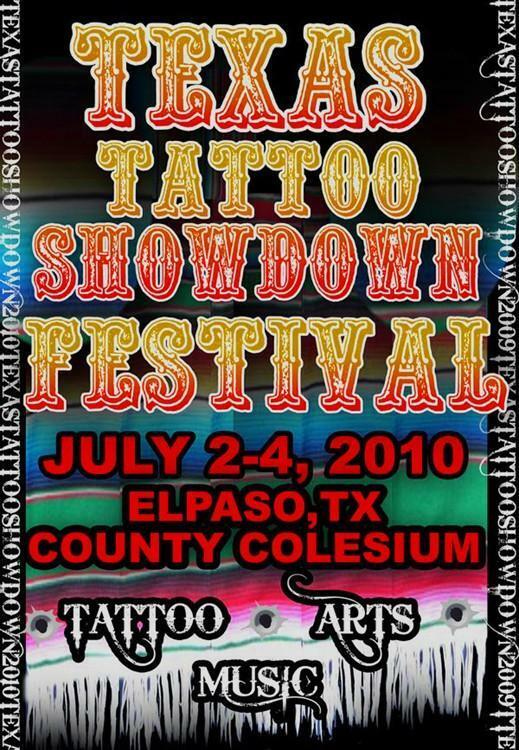 Before I say anything more, I need to say that Texas is – as far as I’m concerned – something of a mecca when it comes to the tattoo industry. Austin in particular is practically bursting with hordes of amazing tattoo artists and tattoo studios. It’s pretty unreal how easy it is to find a ridiculously talented tattooist in the Lone Star State, no doubt. So why then, would Texas possibly be considering taxing tattoo artists in order to help cover the state’s $18-billion dollar deficit? Well, I guess that it could be for one of two reasons: 1. Because the state of Texas is aware of how much potential revenue that tattoo studios are capable of bringing in, and they want some of that cash, or 2. Tattoos are unfortunately viewed as a somewhat frivolous form of cosmetic surgery. I don’t think that I’m exaggerating on that last point either; the proposed tax includes tattoos, piercings and tans. Tans? Yup, under the new tax fake-baking would apparently be considered on the same level as tattooing. That’s pretty lame. “…Adam Warner, a tattoo artist at Pumping Ink in northeast El Paso, said what he creates is really art and should not be subject to a sales tax. He said a sales tax could also dissuade potential customers from getting tattoos and hurt his business. I’m also curious to see what happens if this new tax does go through. Yes, it will probably affect artist’s business, but will it also mean that some tattoo artists will head for somewhere else? Somewhere that doesn’t tax its artists? Hmmm…hard to say, but if that did happen, then Texas would surely be making a big mistake.